Dorothy Burgess (March 4, 1907 – August 20, 1961) was a stage and motion picture actress from Los Angeles. She was a niece of Fay Bainter. On her father's side she was related to David C. Montgomery of Montgomery and Stone. Her grandfather was Henry A. Burgess, Sr. He came to Los Angeles in 1893, establishing a business at Terminal Island. His home was at 637 West 41st Place. He was born in England. Her dad was H.A. (Burgie) Burgess, a pioneer air transport executive. For a decade he was an assistant to Harris M. (Pop) Hanshue, who founded Western Air Express (Western Airlines), and was its first president. Burgess studied drawing, painting, and sculpture at Mrs. Dow's School in Briarcliff Manor, New York. Her talent in the three artistic disciplines was evident in the creative objects which decorated her Hollywood apartment. Burgess and her mother, Grace, resided in a home in Malibu, California, in 1932. Burgess made her stage debut in a walk-on role in support of her mother's sister, Bainter. She first came to light as a specialty dancer in The Music Box Revue. 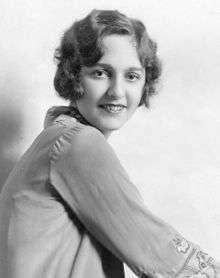 Burgess played a 17-year-old in the comedy, The Adorable Liar, which was staged at the 49th Street Theater in August 1926. It was her first appearance in New York City. Burgess was heralded as a combination of Eleonora Duse, Maude Adams, Helen Hayes, Janauschek, Katharine Cornell, and, possibly, Mrs. Fiske. A reviewer commented that she proved an authentic success, especially considering the material she was given. Her knowledge of the stage was proficient and she combined this with ample charm and attractiveness. Burgess was co-featured in a stock company managed by George Cukor and George Kondolf at the Lyceum Theatre in Rochester, New York, during the summer of 1928. Her co-star was Henry Hull. The actors opened in Broadway on April 30. She learned about being a character actor in stock, along with adapting her voice and mannerisms to each new role. Burgess was on Broadway in The Squall and played the title role in Lulu Belle, in Los Angeles. Burgess was given top billing by David Belasco in Lulu Belle. The play was performed at the Belasco Theater in Los Angeles in October 1929. In the theatrical world the name of a star above the title of the show itself was indicative of stardom for the performer. Lulu Belle was a dusky charmer from Harlem. Burgess depicted a Mexican girl in The Broken Wing, a Paul Dickerson romantic comedy, staged at the El Capitan Theater in Los Angeles, in July 1931. She was typecast as a Spanish woman so much that one reviewer commented that perhaps there was a Spanish onion or a Mexican chili pepper in her family tree. However, offstage she was much more a typical American co-ed than the Carmanesque young ladies, who she often played. She made Hollywood her permanent home, living at 210 South Fuller Avenue. Fox Film acquired her services and she debuted in In Old Arizona (1928), the first of the outdoor talking films. Burgess portrayed the Mexican minx who was desired by both Edmund Lowe and Warner Baxter. A reviewer noted that her voice was good. The first film made in the Movietone sound system, it was a romance of the old southwest. In May 1929 two large lamps mounted on a tripod toppled over on a sound stage where Burgess was working at the Fox Movietone Studio. She was cut severely over her left eye by one of the incandescent lamps. Burgess was rushed to a studio hospital where several stitches were taken in her wound. Burgess won the feminine lead in Beyond Victory (1931) after Ann Harding decided not to make the movie. The Pathé Pictures release featured William Boyd as the leading man. In December 1931 Burgess signed with First National Pictures for a significant role in Play-Girl (1932), which had a screen story by Maude Fulton. The movie was produced by Warner Bros. and First National. Burgess had a featured role as a romantic rival of Jean Harlow in Hold Your Man (1932), also starring Clark Gable. Burgess also appeared in Swing High (1930), Taxi! (1932), Ladies They Talk About (1933), Malay Nights (1933), Strictly Personal (1933), Headline Shooter (1933), Black Moon (1934), and Miss Fane's Baby Is Stolen (1934). Burgess acted with Lowe and Nancy Carroll in the Paramount Pictures release, I Love That Man (1933), directed by Harry Joe Brown and produced by Charles R. Rogers. Burgess strained ligaments in her back and shoulders during filming at Universal Pictures studio in July 1933. She was performing fight scenes with Mary Carlisle and Sally O'Neil. Burgess appeared with Richard Barthelmess and Jean Muir in A Modern Hero (1934), which deals with a young circus rider. Gambling (1934) starred George M. Cohan, and was produced by Harold B. Franklin at the Eastern Services Studios in Astoria, Queens. Burgess played the part of Dorothy Kane. Her role as 'Trixie' in Lone Star Ranger (1942) represented a return to playing a dance hall girl, as she did in In Old Arizona. The film was produced by Twentieth Century-Fox. Burgess became engaged to movie director, Clarence Brown, in 1932. She was involved in a romance with wealthy New York jeweler, Jules Galenzer, in 1934. Burgess was charged with manslaughter following an auto accident in which she was driving. 17-year-old Louise Manfredi died in the wreck, in San Francisco, on the night of December 23, 1932. Burgess, driving alone, collided with a car driven by 18-year-old, Andrew Salz, a student at the University of California-Berkeley. Burgess' hearing was postponed and her bail was fixed at $50. She suffered from shock and was placed in a San Francisco sanitorium. Salz and Burgess each accused the other of responsibility for the accident. Burgess was sued by Italo Manfredi and his wife, Marie, in January 1933. They sought $25,000 in damages. A compromise payment of $6,150 was approved by the San Francisco Superior Court in August 1933. Earlier a compromise amounting to $6,000 was agreed upon for damages claimed by 18-year-old swimmer, Betty Lou Davis, who was injured in the same accident. In May 1961, Dorothy Burgess was brought to the hospital from her home in Palm Springs, California. But just months later, on August 21, 1961, she died at the Riverside County General Hospital in Riverside, California. She was only 54 when she succumbed to tuberculosis. She is interred at the Olivewood Cemetery in Riverside, California. ↑ "H.A. Burgess, Pioneer Merchant, Succumbs", Los Angeles Times, October 2, 1932, p. 9. ↑ "H.A. Burgess, Pioneer Air Official, Ill", Los Angeles Times, April 14, 1960, p. B2. 1 2 "Star And Director Develop Romance", Los Angeles Times, January 26, 1932, p. A3. 1 2 3 "Who's Who In The Current Pictures", New York Times, July 2, 1933, p. X2. ↑ "The Adorable Liar Has Fine Exponent", New York Times, August 31, 1926, p. 15. ↑ "Dorothy Burgess As Star", New York Times, April 30, 1928, p. 21. ↑ "Actress' Success Brings Stardom", Los Angeles Times, October 26, 1929, p. A9. ↑ "Miss Burgess Resumes Role of Senorita", Los Angeles Times, July 28, 1931, p. A9. ↑ "Dorothy Just The Type", Los Angeles Times, August 9, 1931, p. 26. ↑ "Western Talkie Interests", Los Angeles Times, December 27, 1928, Page A13. ↑ "Current Films", Los Angeles, December 30, 1928, Page C17. ↑ "Actress Struck by Falling Lamp on Sound Stage", Los Angeles Times, May 29, 1929, p. A10. ↑ "Dorothy Burgess Wins Lead", Los Angeles Times, June 4, 1930, p. A8. ↑ "Dorothy Burgess In It", Los Angeles Times, December 31, 1931, p. 7. ↑ "Film Star, Accused In Fatal Crash, Ill", New York Times, December 24, 1932, p. 10. ↑ "Actress Sued in Auto Death", Los Angeles Times, January 6, 1933, p. 10. ↑ "Dorothy Burgess Seriously Ill", Los Angeles Times, June 3, 1961, p. 11. Bob Hufford (April 16, 2010). "Dorothy Burgess". Actress. Find a Grave. Retrieved July 1, 2011.